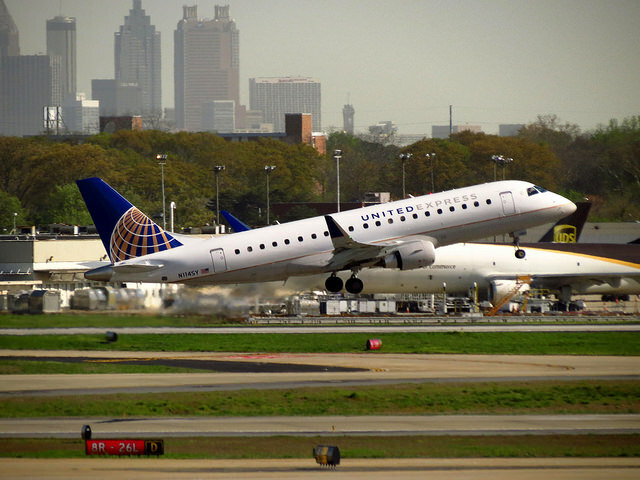 Embraer has managed to avoid suffering a serious dent to its backlogs by transferring a firm order for 24 E175s from bankrupt Republic Airways to that regional airline’s biggest mainline partner, United Airlines. In a statement issued Tuesday, Embraer confirmed that Republic had canceled the $1.08 billion order, and that deliveries of all 24 of the 76-seat regional jets would go to United next year. Although Republic continues to operate under Chapter 11 bankruptcy protection, United hasn’t yet confirmed which of its partners will fly the new batch of E175s. The new arrangement with Embraer follows Republic’s delivery and payment deferral associated with a firm order for 40 Bombardier CS300s and options on another 40. In an October 26 filing with the U.S. Securities and Exchange Commission, Republic also reported that it settled a $1.5 million general claim and a $700,000 administrative claim filed against it by Bombardier. A U.S. Bankruptcy Court has scheduled a hearing to determine approval of that settlement for November 17.